Intel partner NexDock tipped Intel's decision as it announced a move to Android phones for its second generation. Intel’s Compute Cards always felt like an odd response to the push toward smaller form-factor computing, and the market apparently agreed: Intel said Thursday it has decided to discontinue development. Compute Cards, first launched in 2017, were little bigger than a credit card and several times thicker. The self-contained modular computing card contained one of four Intel processors, from a Celeron up to a Core i5, plus memory and storage. The first clue that Compute Cards were in jeopardy came from NexDock, which developed a modular laptop shell, the NexDock 1, that was powered by your phone. (The company launched during a period when Microsoft’s Continuum environment was in vogue, in conjunction with a Windows Phone.) A similar device, known as the NexPad, was powered by a Compute Card and has now been discontinued, NexDock said, because of the uncertainty from Intel. 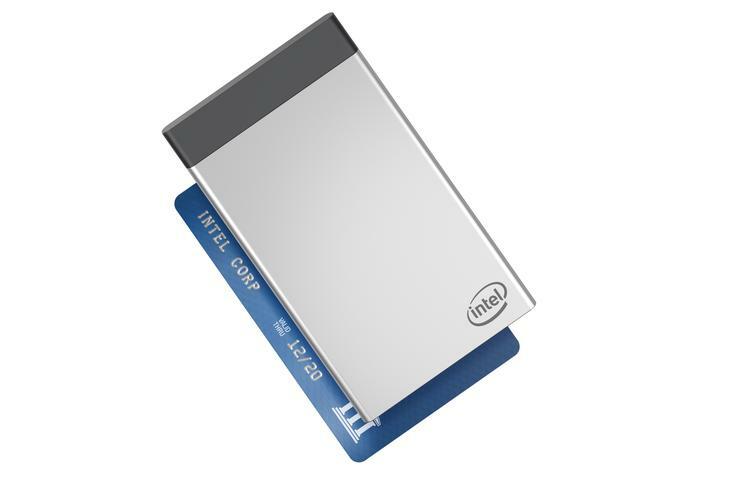 Intel, however, said that it’s made a decision: Compute Cards are no more. NexDock has gone on to announce the NexDock 2, a tablet that uses an Android phone to duplicate its screen within a laptop environment. The Kickstarter project has already achieved its funding goals.